PRODUCT DESCRIPTION (4.1/5)Tiger Dinner Ceramic cat feeder is a cat bowl that slows down your cat’s eating because it makes your pet work for its food. Usually a regular pet bowl allows cats to eat as fast as they want. The Tiger Diner bowl is designed with holes around from where your cat has to introduce its paw and get the food out. 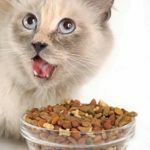 As the feeder slows down your cat when eating, it helps its digestion and prevents stomach upsets which generally ends up in vomiting. Tiger Diner dish feeder engages cats mentally while working for their food. The bowl is made of sturdy ceramic and is dishwasher safe. Cat eats less food than regular bowl, it helps to reduce the cat’s weight. The feeder is filled from top and it automatically distributes food as needed. It helps cats to reduce boredom. It engages cats mentally, challenging them to get the food out from the feeder. It provides cats physical activity while making them eat at a healthy speed. To fill the feeder you need to pour the kibble in from the top hole, the food falls inside the bottom and distributes by gravity. 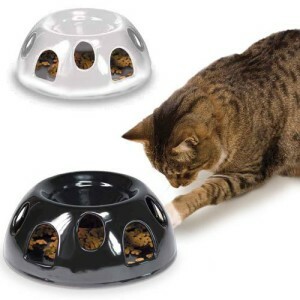 The cat needs to paw the food inside out and get it out from the holes with its claws. These holes have a lip inside that prevents the food to be easily pulled out so the challenge is on the high level side. When the cat pulls the food out, it eats the kibble from the floor, so it is recommended to place a non-skid mat underneath the feeder. 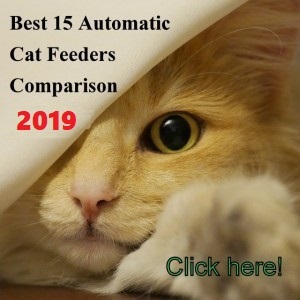 The feeder may be good for one or two days worth of food with two cats if filled to the top (about 3 1/4 cups), depending on how much your cats eat. It slows down cat’s eating speed. It stops dogs from eating the cat’s food. 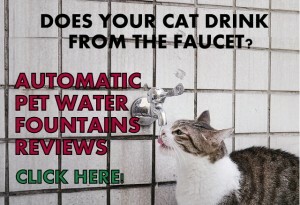 It gives cats a fun and engaging activity when working for their food. This bowl is sturdy, of good quality and it looks nice. It’s not lightweight so it can’t be tipped over easily. 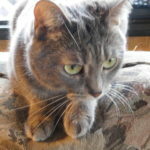 It stimulates cats mentally because they have to think how to get the food out from the bowl. It helps your cat lose weight by reducing overeating and increasing physical activity. It reduces the rate of vomiting after eating. Bigger size than a regular cat bowl (8.2 dia). 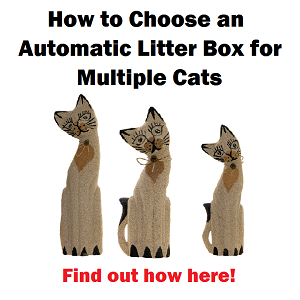 It can be used for more than one cat at the same time. 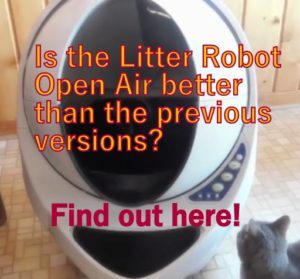 Good for cats with allergy to plastic. Not very easy to wash by hand and dry it well (easier just to wipe it down with wet cloth or soak it in soapy water). Interior ridge inside the openings accumulate some crumbs that are hard to remove. Tricky to fill the feeder, you have to fill it in the top hole slowly and swirl kibble inside the bowl a little bit to put more food inside (with big irregular shaped kibble it’s harder). When filling the feeder, if food falls and gets too close to the openings, your cat may be able to eat from the opening using its tongue. Food left in center of the feeder usually sits there because it can’t be pulled out by the cat. If your cat is strong he or she may be able to move the bowl around. A good mat will fix this. Some cat litter may get into the dish and get mixed with the food (again a good mat fixes this). Food falls out onto the floor when cats are eating (same solution, get a good mat). 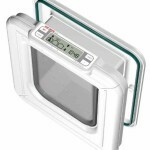 It does not have a cover nor an inside compartment as its plastic version. Get a litter mat with a ridge around to place underneath the feeder. When the bowl has some food left in the center, shake it a little to make kibble get close enough so your cat can paw the food out from the holes. 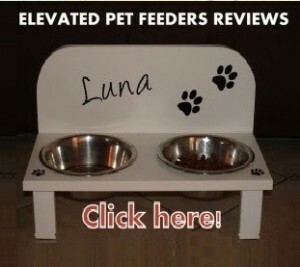 The feeder does force your cat to slow down because it only allows your pet to get 1 or 2 morsels at a time. 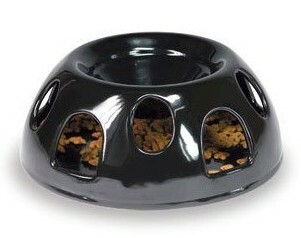 It is better idea to use this bowl as a main meal feeder, rather than a treat toy dispenser. 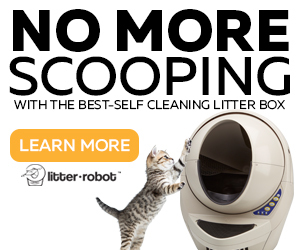 If using as a treat feeder probably your cat won’t show much interest in getting the treat out from the feeder. This is general advice, not the norm, cats are very surprising creatures. The bottom of the feeder is about 1/2 lower from the lower openings and the inside openings have lips that prevent the food from getting out easily. This makes this pulling out activity a fun challenge. The size of the feeder it’s on the big side. Tiger Diner Ceramic cat feeder it’s a good food bowl and most cats enjoy eating from it, but it may not be suitable for all cats. 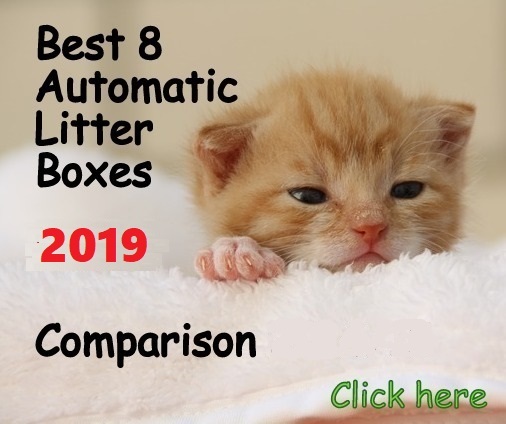 3 situations could happen between your cat and this dish feeder: 1) They may love it, use it and enjoy using it (68%), 2) they may hate it but still use it (aka evil look at you 8%), or 3) they may ignore/hate it and not use it (13%). 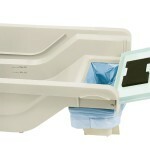 In general the bowl feeder it’s a good product and it works for what it is supposed to do. I recommend this dish for making meal time more stimulating and a fun activity. Note that it may be too big for one small or medium size cat.